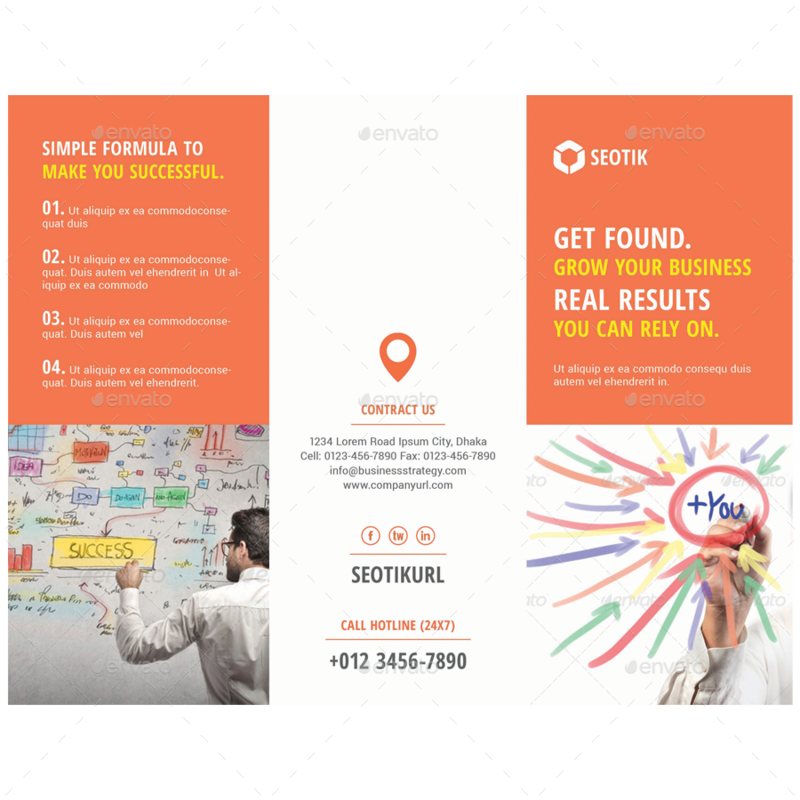 Minimal SEO Tri-Fold Brochure Template. Everything is layered, grouped and well organised. Easy to edit the text, color & image. Simply edit the text & replace the image & logo with smart object layers. 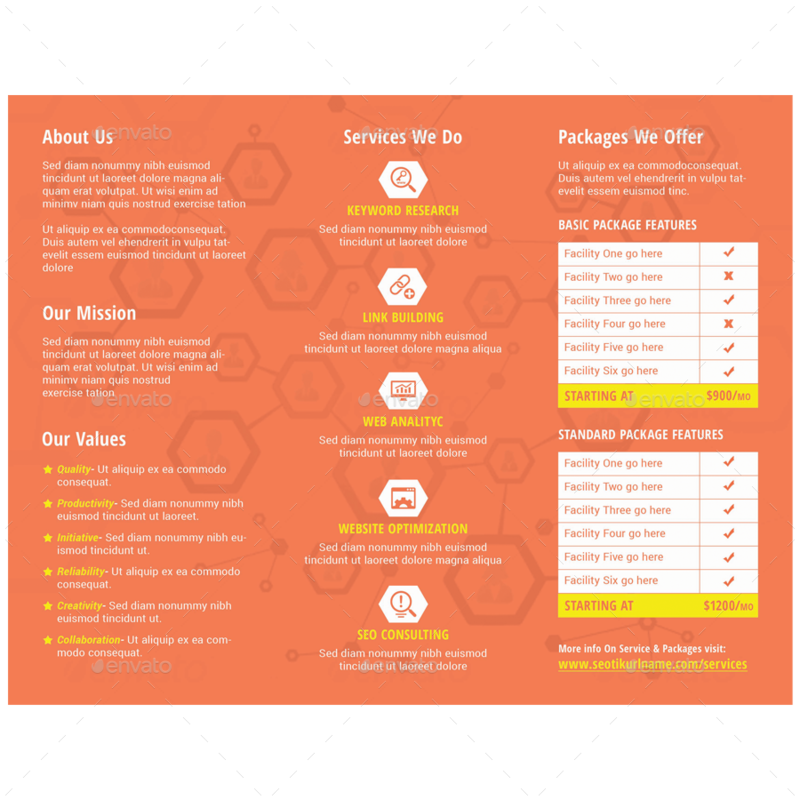 The template pack contains 2 separate (Inside & Outside) psd file’s with a read me help file.